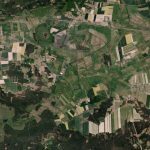 On the heels of announcing a contract to service the European Union’s Copernicus Programme with high-resolution data, Planet is expanding its engagement with a new agreement that makes PlanetScope and SkySat imagery and access to Planet Explorer available to the Copernicus Emergency Management Service (EMS); the Copernicus Land Monitoring Service (CLMS); and the Copernicus Security Service. Copernicus Emergency Management Service. Planet’s data will be used to improve warning and risk assessment for floods and forest fires and will be available on-demand in the event of natural and man-made disasters. This will help first responders and humanitarian aid actors better direct resources for recovery, disaster risk reduction, resilience, and preparedness. Copernicus Land Monitoring Service. Planet’s data will be used to enhance geographic mapping of land cover, land use, and land use change. This will help support a variety of applications, including land use planning, forest management, water management, agriculture, and food security. Copernicus Security Service. Planet’s data will be used to improve security and crisis prevention, particularly in the areas of maritime monitoring and border surveillance and will be available on-demand in the event of national or local crises. This will provide governments and actors a nuanced understanding of events on the ground and help promote stability and order. “Copernicus Contributing Missions provide valuable Earth Observation data that are complementary to the Sentinel missions. As such, they are an essential additional source of information for the Copernicus Services activities. 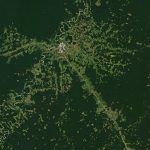 The integration of the Planet’s imaging assets will further enhance the coordinated data offer, which ensures that the most suitable EO products are provided to the Copernicus Services in response to specific timeliness and quality requirements,” said Giuseppe Ottavianelli, ESA Earth Observation Third Party Missions Manager. Planet previously supplied only RapidEye imagery to the Copernicus Programme from 2009 to present. 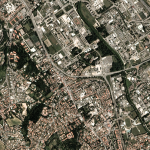 With access to more geospatial data at multiple temporal and spatial resolutions, plus easy viewing access via Planet Explorer, Copernicus users will have more insights to make more targeted and timely decisions. In tandem with the VHR agreement signed last month, these two agreements demonstrate the commitment by Planet toward the European Union’s space programs.